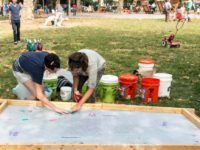 While summer tends to get busy with travel (let’s talk about Bulgaria, China, and Italy), there’s still plenty of time to indulge in some creative papermaking. Check out these summer workshop offerings! 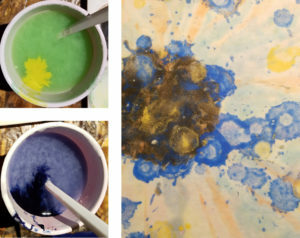 Using pigmented cotton, linen, and abaca, learn how to move paper pulp in a painterly way. 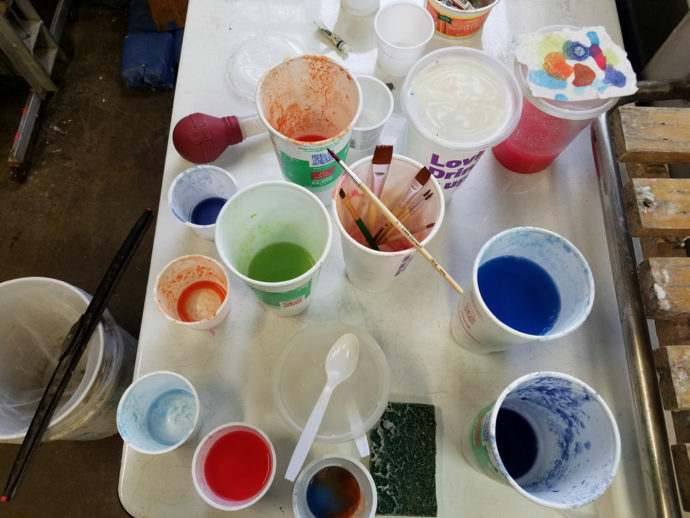 Pulp paint is its own distinct medium, which both behaves like a traditional paint, but with slightly different rules. In pulp painting, the imagery becomes an integrated part of the paper itself, creating an artwork that is 100% paper. Be prepared to play, design, and have fun! Look at the plants growing in the cracks in the pavement, the “weed tree” growing in the yard next door, or that vine climbing over the trees of the neighborhood. 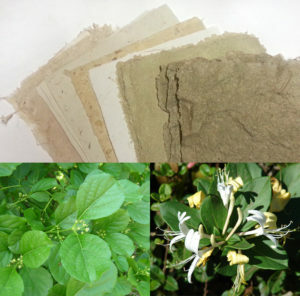 Invasive plants abound, and luckily, some of them are excellent for making paper. 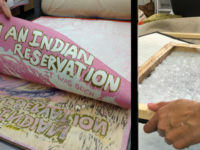 Join me for an afternoon of fiber preparation and sheet forming as we learn about invasive plants, their fibers, and their phenomenal handmade papers. Sustainability is beauty.